We here at the Night Light household were lucky enough to be able to attend an Imagination Movers concert for our daughter's second birthday. We had a blast! We really admire these guys for being such positive role models. Our son and daughter were filled with bliss thinking about seeing them live. We had to collaborate to gather everything we would need for the three hour car trip. We did not try to diguise how ecstatic we were about seeing them. Once the show started we were flabbergasted when all four came on stage. The cheers from the crowd were gigantic. The Movers were hysterical. Our bellies hurt from laughing. We were so happy to be able to indulge in family time and dancing like crazy. The music gave us a jolt of energy that lasted the entire concert. I knew I would have to knead my arm muscles the next day from holding my jumping daughter for an hour and a half. We did linger for a bit after the show and were honored to be able to meet these inspirational guys. It was a momentous occasion. Thank you Movers. After all this excitement, we went in search of some nourishment. We weighed our options and chose the healthy path. 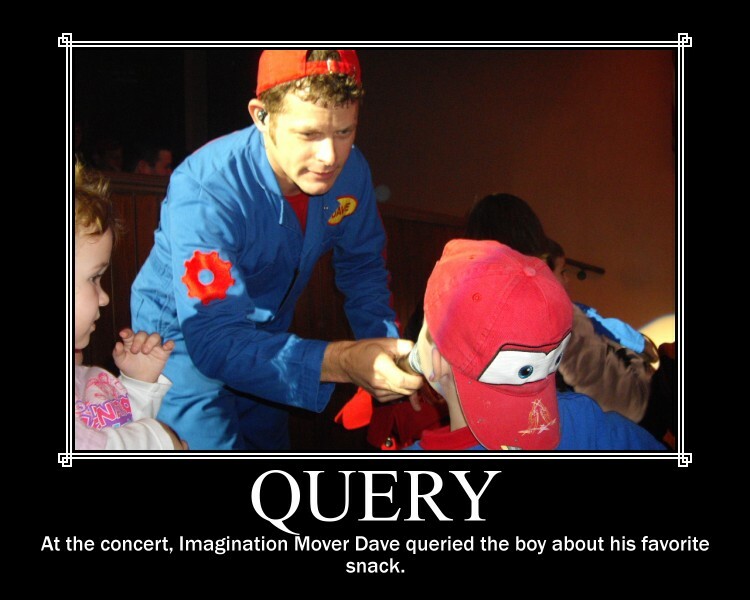 So, we query you, what is your favorite song from the Imagination Movers?